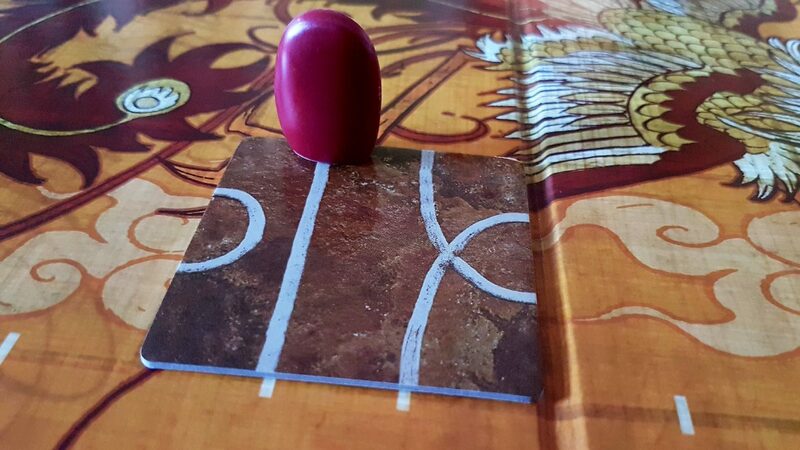 Tsuro is a pretty game. A very pretty game. A very, very pretty game. The pictures throughout this review won’t really do it justice, but take my word for it – it looks lovely when it’s set up on the table. The board has a finish like fine wood even though it’s cardboard. The pieces have a pleasing heft to them – they’re plastic, but of a peculiarly heavy variety that feels more luxurious than what you might expect. The tiles shine and shimmer like they’re polished stone. While nothing in the box is particularly extravagant, the production values are astonishingly high. Inside the box is a piece of tissue paper adorned with a passage of text more suited to a book on beginner spirituality, or a self-help manual. It’s peculiarly indulgent, like opening a box of luxury chocolates. It says ‘something delicious is in this box. Tuck in’. A delicate bamboo brush painting occupies most of the paper. It’s really very lovely. Have what you like but the hazelnut and caramel ones are mine. And then the manual is pleasingly small, folded over in lazy origami to make the contents seem more exotically packaged. 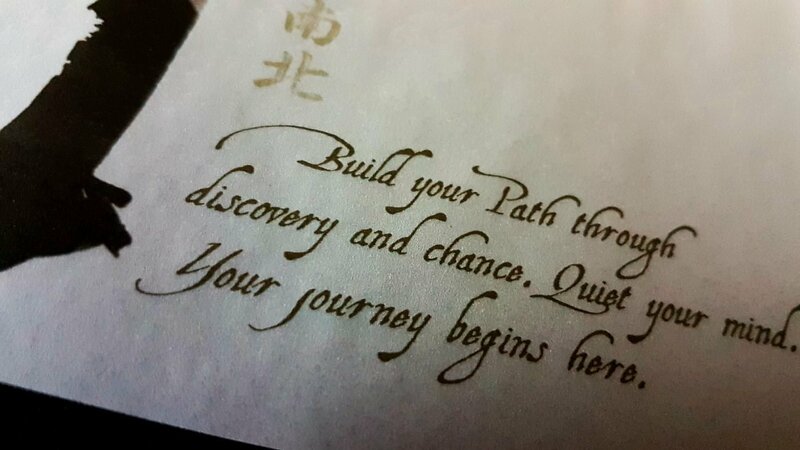 Chinese characters are written on everything in Tsuro. This contributes to the general aesthetic of the game – themes of journeys, of transformation, and of the alchemical elements are frequently repeated as visual motifs in the components. It looks like it would unfold like a Delorean’s door. 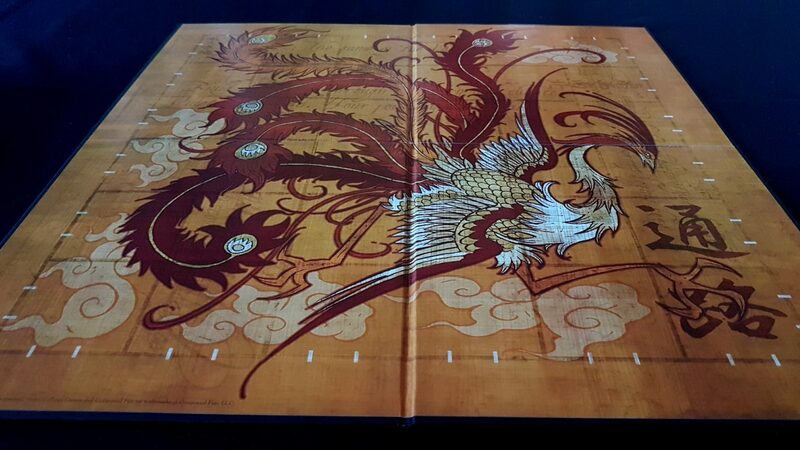 And when you fold out that board, you see the gorgeous phoenix design that will be the artistic backdrop to the game you play. Look at it – that’s frameable. That’s a board you could mount in wood and hang it happily on your wall. How many other games can you say that about? How many games have a truly beautiful board? And how about that font on the front, eh? 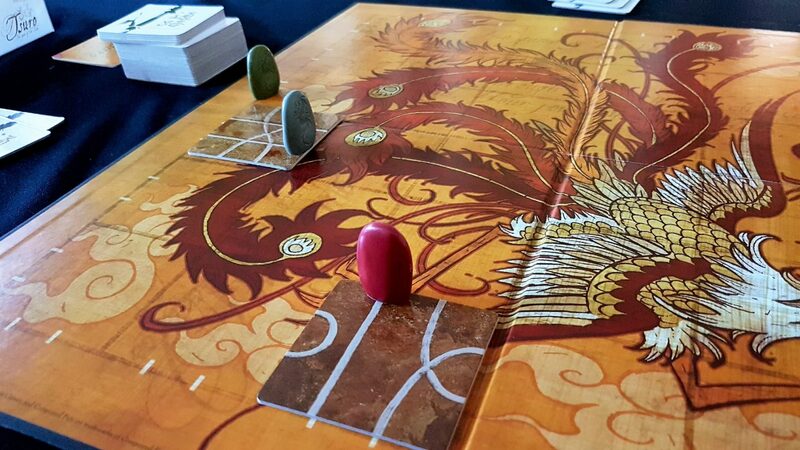 And the dragon motif that complements the phoenix of the board? And doesn’t it look nice against the white background? Oh, and check out these pieces – these markers that represent we as the players. They are the dragons we become as we dance around the skies in endless battle. Aren’t they great? Don’t they look like they were carved out of rock and placed in your hand as a result of the inexorable push of history? What is the Chinese symbol for ‘henge’? 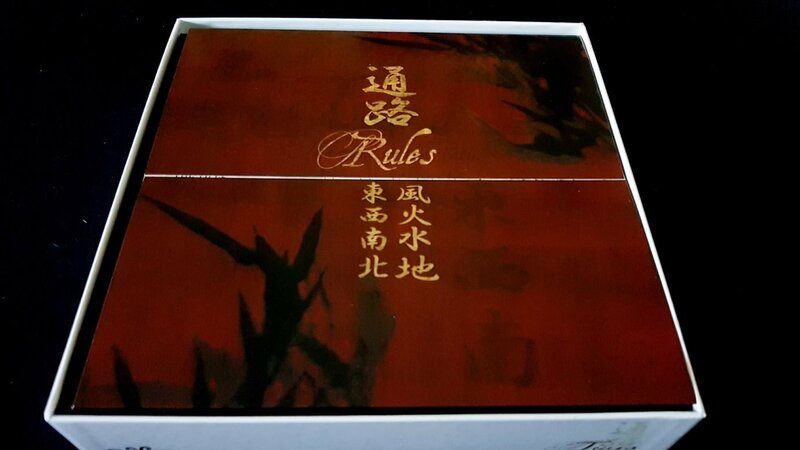 Oh, and we can’t talk about Tsuro without discussing how legible the game information is on the front. 15-20 minutes. Ages eight and up. Two to eight players. That’s clearly marked, so nobody need be confused as to what they’re getting themselves in for. Did I talk about the board? Yes, I did. Well, I should mention the pieces. Oh, I did. Twice. Uh. Look, I’m going to be honest here. 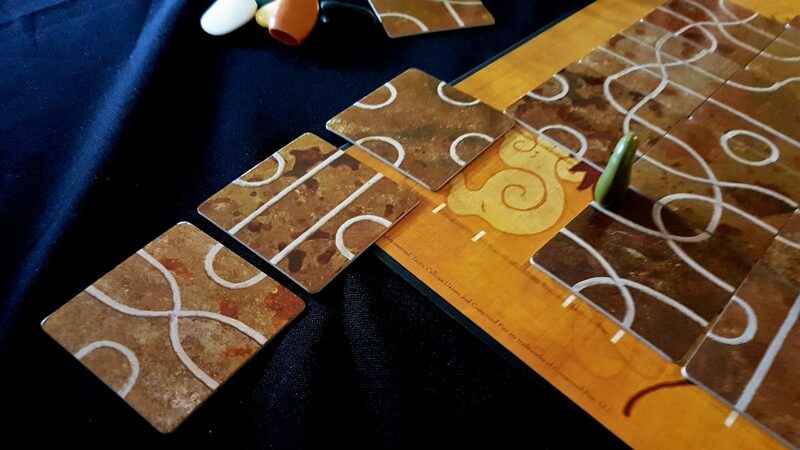 Tsuro is a game that is as insubstantial as smoke, and I pride myself as an academic on being able to wring five thousand words out of the contents of a lazy post-it note. There is nothing to this game of any substance. That makes it exceptionally easy to learn and astonishingly simple to play. As a result though there is little real challenge or lasting interest. 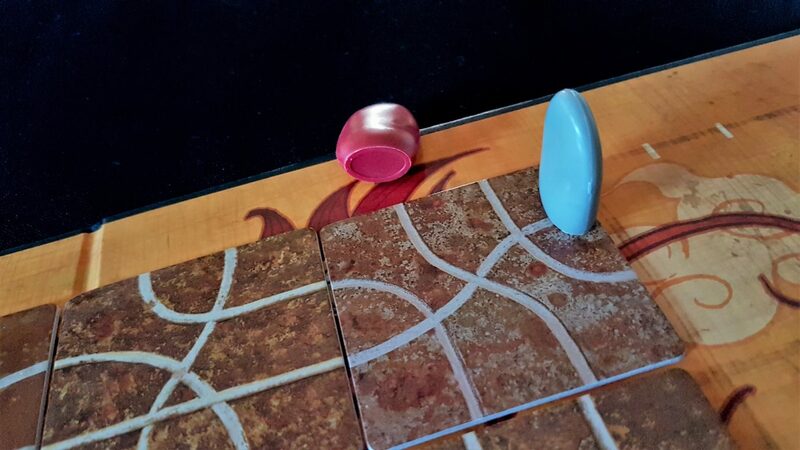 Tsuro is a game of laying down a tile and having dragons follow the lines in front of them. That is every single thing you need to know. Let’s get these stones rolling. But it’s fine. It’s fine. I’m a professional. I can drag the arse out of this for days if I need to. 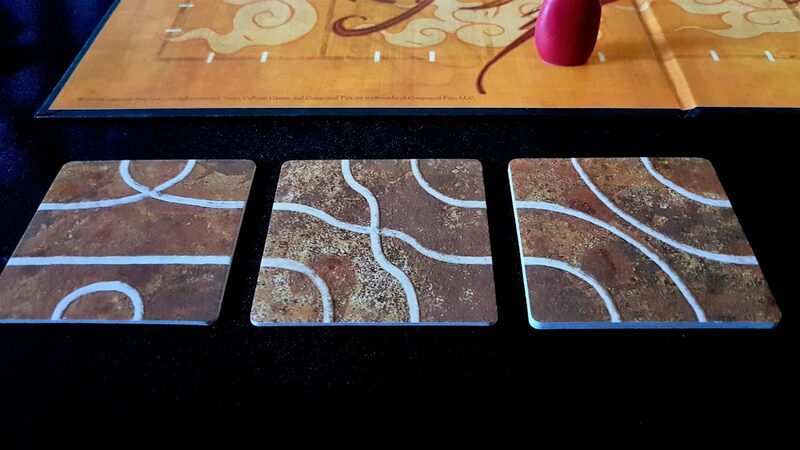 Each player gets three tiles. These get replenished throughout the course of play, and each contains a swirl of lines on it. Sometimes they loop, sometimes they skip tracks. Sometimes they progress happily in a straight line. 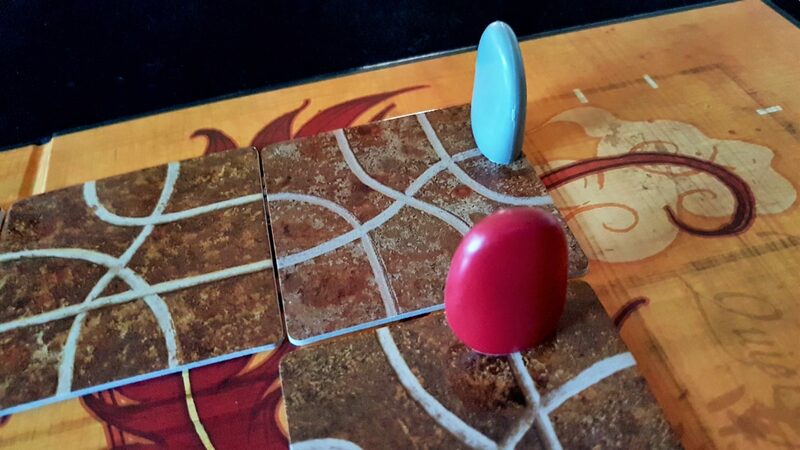 Each tile in Tsuro has eight points of contact with the edges, and as we play down the tiles we’ll connect up to other tiles that define lengthier paths through the game. 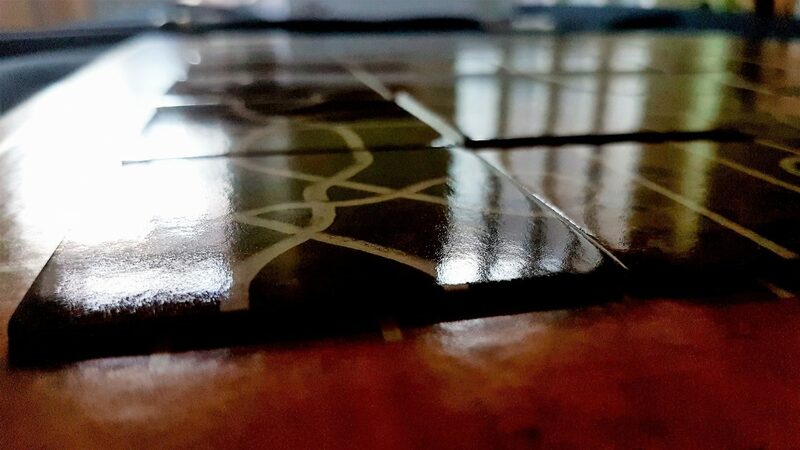 Once placed, a tile never moves – and we have only three available to us at any one time. 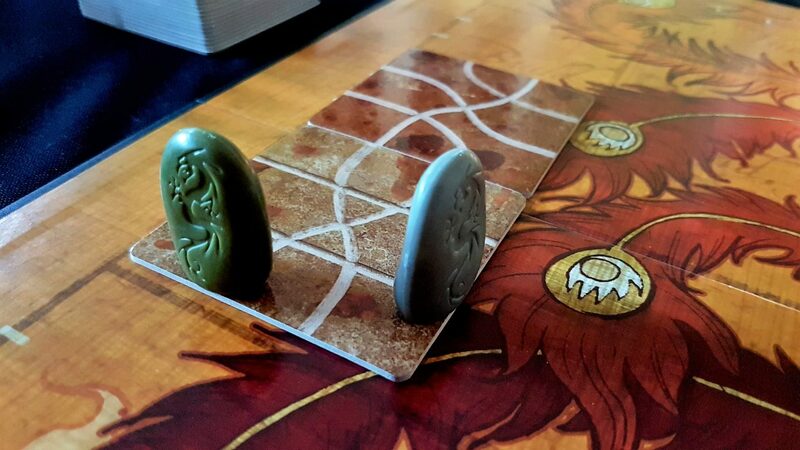 Each player picks a starting point on one of the tick marks on the board, and in turn order plays down a tile in front of their dragon. I have my bathroom done up in tiles like these. Takes ages to get to the toilet. And your dragon follows the path. And then the next player follows your example and lays a tile down for their own dragon. And the next player does the same. Time for a long one! Sometimes, the tile you place will trace a line that hooks on to another tile. In all cases, you follow the path until it finally terminates. And you all continue this, turn after turn, trying to force other dragons off the board. To begin with, it’s trivial – keep away from other players, try to stay in the centre. 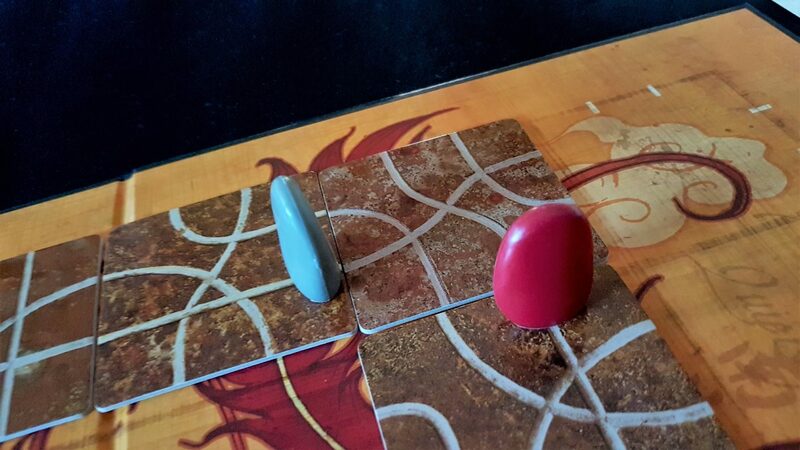 As the game goes on, it becomes much tighter and there occur moments of contention where two players are staring down the same tile, and the direction of both will be determined by whomever gets to place the tile first. Dragons follow whatever path is put in front of them, regardless of whether they were the one to place the tile. Dragons will weave in and out of the paths of their opponents, hoping to be able to engineer a circumstance that will knock a foe out of play. And really that’s the word. Hoping. That’s all you can really do here. 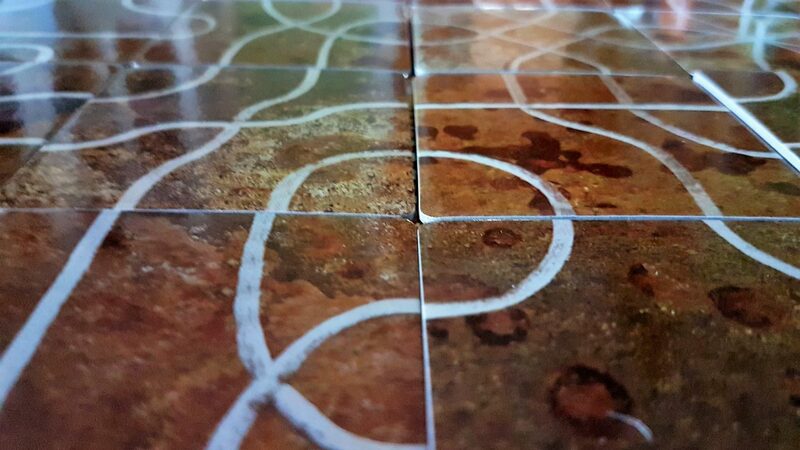 Each tile is so distressingly situational that there’s rarely any point in hoarding one. Each intersection of dragons is so arbitrary that you may as well roll a die to see if anyone gets eliminated. Your choices are so shallow that often you’re choosing between three courses of action, each of which knock you out of the game. To be fair, it’s often a situation of your own making to let yourself end like up in such a situation but you’re never truly in charge of your own destiny. You can find yourself flung around the map with little agency, only to find come your turn that you’re presented with three exciting options for committing suicide. Well – this isn’t good. You can’t not play a tile. You can’t not follow a path. And so, often the instrument of your destruction is simply the fact your own turn came around at last. 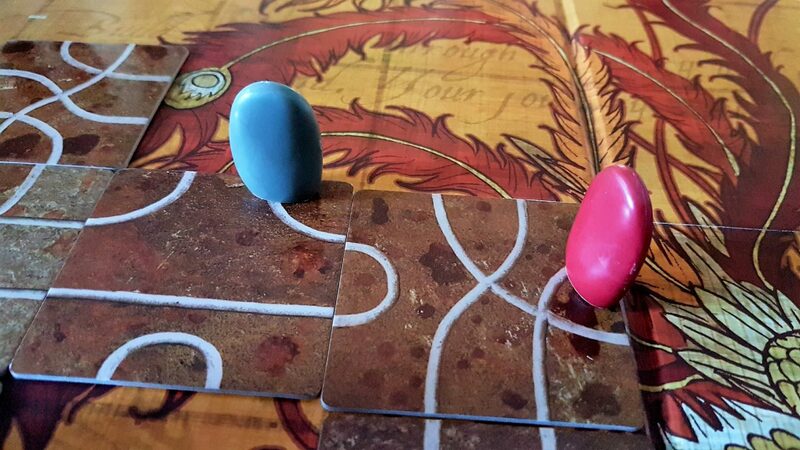 Eventually you end up with only two dragons left on the board, and one will either knock themselves out of play through unfortunate tiles, or you’ll be the one to engineer their undoing. This is it! The prize fight! You want to be the one moving to safety. And you want them to be the ones to fall. Two roads diverged in a wood and you – you took the one I picked for you. And that has made all the difference. The surprising thing about this it that it’s actually fun, kinda! 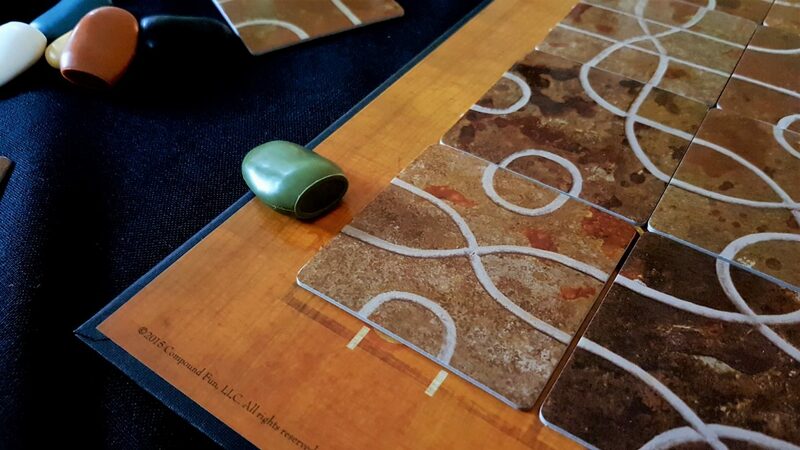 Tsuro is – well, it’s boring. But it’s not immediately boring and that immediacy is important. 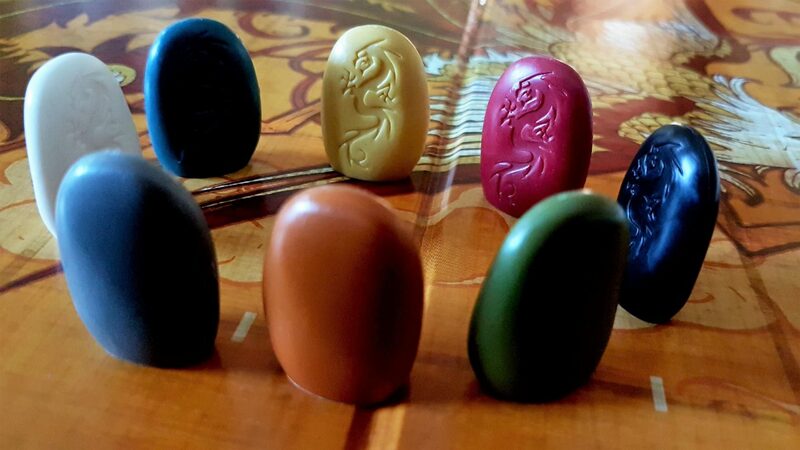 Tsuro might actually serve an important role in your gaming library. It’s so easy to learn that genuinely everyone can play. Whether they are drunk, sober, gamers or non-gamers – there’s no need to worry about systemic literacy when you bring this out. It’s also a game where novices can meaningfully play against experts because the outcomes are half chance. It’s not that there’s no strategy involved, it’s just that the strategy involved is deeply intuitive and exceptionally limited. The gap between amateur and expert here is vanishingly small. A problem with many so called ‘gateway games’ (God, I loathe that term) is that skill and familiarity are important predictors of success and it’s often necessary for an experienced player to pull their punches. Tsuro doesn’t need that because you’re only partially in control of the strength and direction of the punches in the first place. 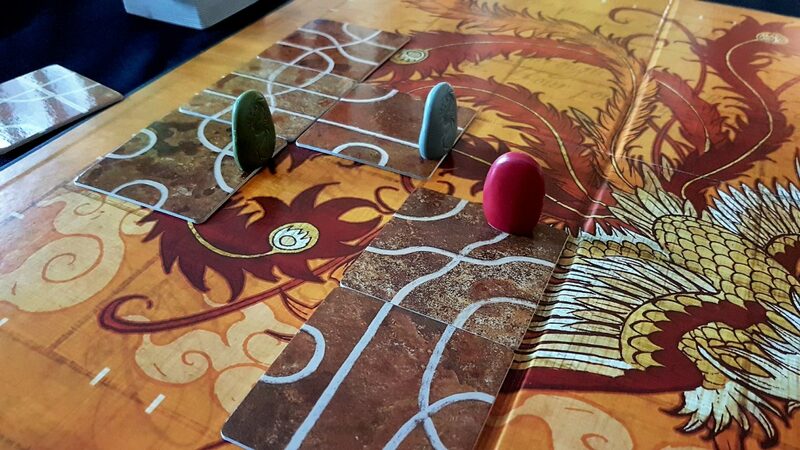 Tsuro is also unlike almost anything that a fresh faced newbie is likely to have seen before, and the first few games are mesmerising. It takes a while before the sheen of a new experience wears away to reveal the dull mundanity underneath. By that time you’ll likely be talking to a more receptive audience about the deeper, more interesting games you have on your shelves. It can also be played with a lot of people at once, and if it all goes well it can be like an assembly line conversion of the reluctant to the eager. It’s a bit like brainwashing at the re-neducation centre. And it’s beautiful – when you set it up it’s like seeing an ancient work of art take form. First impressions can be important, and while something like Dobble may simultaneously be easier and more fun, it also looks childish. 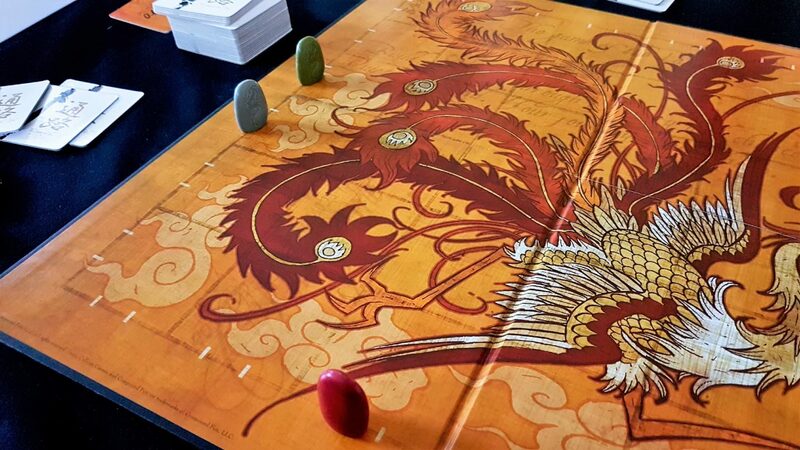 Tsuro looks like something you’d see ancient ninjas playing in a mystic temple at the seminal moment of an old Kung Fu movie. You look at it and say ‘What’s going on there?’, and then you try it and say ‘Hey, that was neat, can we try again?’. You’ll never feel overwhelmed, because your choices ultimately are trivial. ‘One of these three tiles, in one of these four rotations’. You won’t realise that at first though. Right from the bat you have a decent chance at succeeding and an equally decent chance of being walloped. You won’t get whomped because you didn’t think through your master-plan – though you’ll get whomped because Fate is a harsh mistress but she picks her victims with remarkable dispassion. This is pretty much the path you need to take when going around Dundee’s Claypots junction. Of course, this is not a review that’s going to send anyone racing off to their local game-store to get the last copy before it disappears. ‘It’s very boring but you might fool some novices before they realise’. That’s not a recommendation that’s likely to end up on the back of the box – I know that. 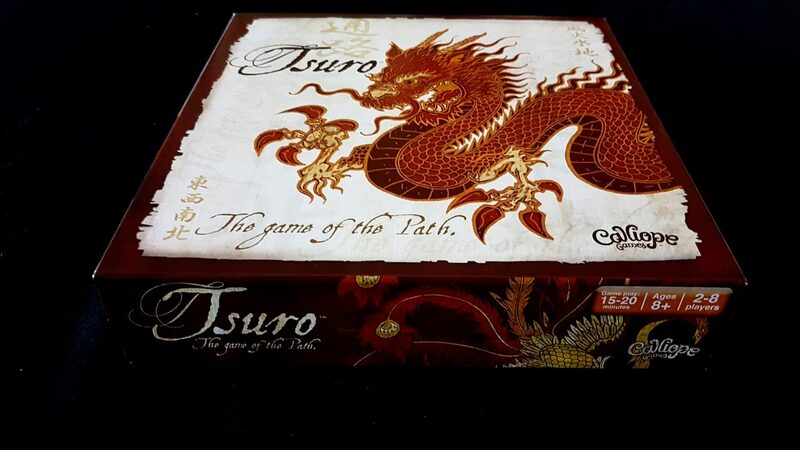 But I’m also not comfortable in completely dismissing Tsuro. I had fun, the first few times. I liked the mild rush that comes with playing the perfect tile that knocks two of your enemies out of play by bashing them into each other. I liked occasionally putting down a path that hooked to a massive route that took me safely away from all danger. It gave me a tiny buzz. 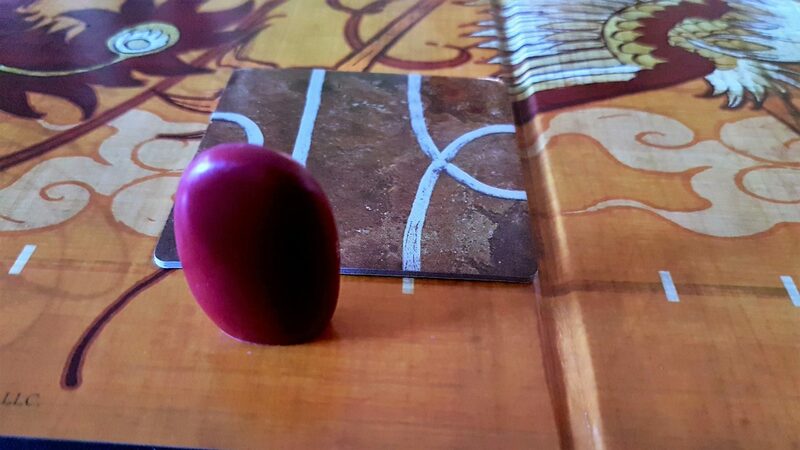 Unfortunately for Tsuro I’m an old man now, and I can get exactly the same buzz by quickly standing up from a chair. That doesn’t cost me £25. 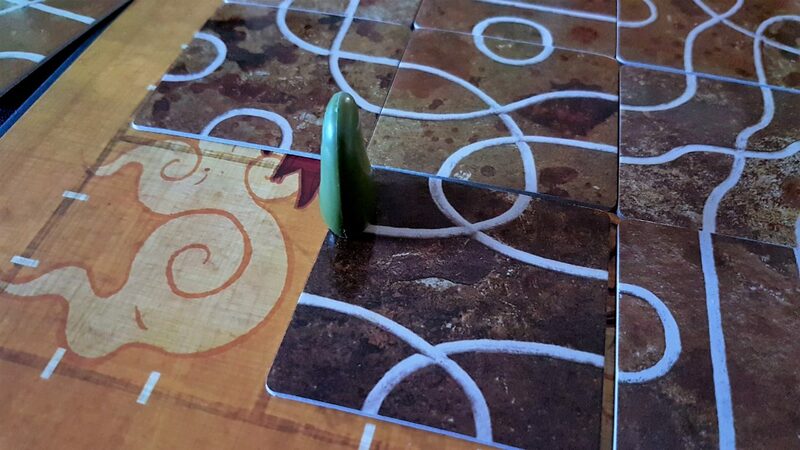 Tsuro is far from a necessary game. If you spend a lot of time trying to recruit new people into board-gaming it might be helpful, but also you might want to consider a hobby that makes you seem like less of a creepy cult member. 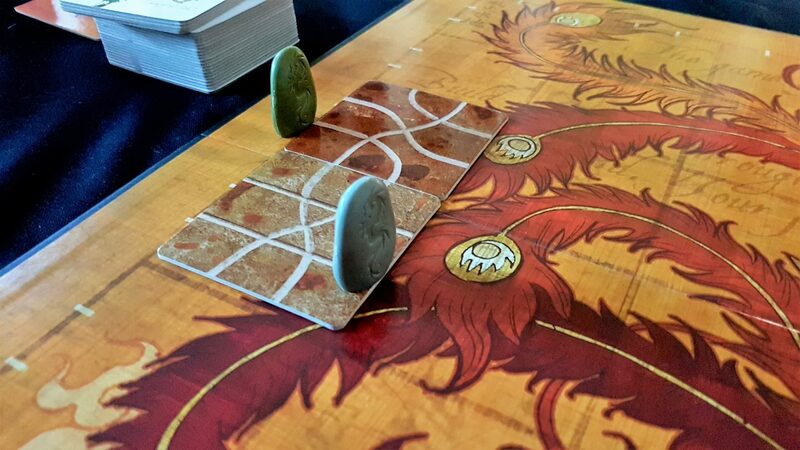 You will likely have fun with Tsuro, for a short period of time. That in the end is the best I can say about it. 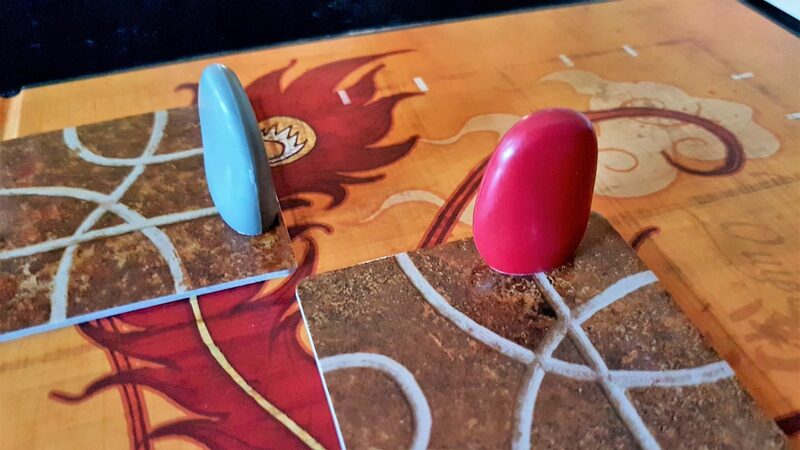 Luckily for me, the Android app of Tsuro was reduced a few weeks ago to 99p. And, like you, I found it interesting for the first few plays until the novelty wore off – Literally my hard earned £25 squids could have followed the path of the dragon into oblivion! I reckon that this game would be good as a filler game, between meatier titles, and anyone unsure should purchase the app and play first (this needs to be the future for all board game releases in my opinion). And BTW I could picture you in the ninja outfit, scratching chin, sporadically standing up to induce a ‘tiny buzz’ whilst playing this game – had me in stitches!